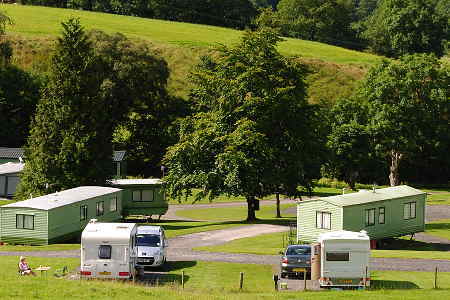 Combine a sunny August morning with a caravan park that’s both in Cumbria and also in the Yorkshire Dales National Park, and what more could you want for a relaxing holiday? Here’s a wider view taken on the same morning from higher up the hill behind the Park. 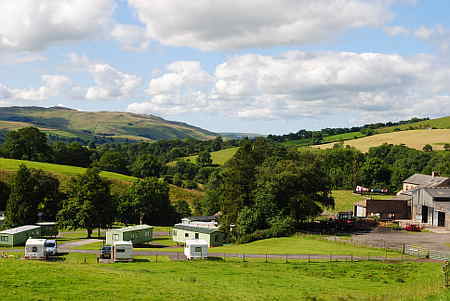 Looking over the caravan park toward the south, with Cross Hall Farm buildings showing at the right. 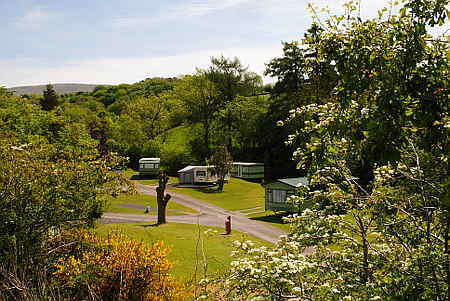 And finally, a view of one corner of the park looking northwards on a June morning.